There is not a breath, the blue wave to curl. So row brothers row, row, row. We learned this song at school. 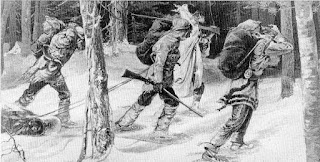 More here about the contribution of the coureurs des bois to Canadian literature, art, and music. 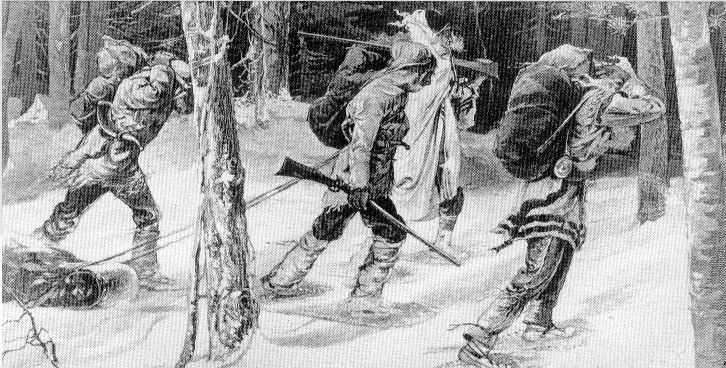 Every Canadian school child learns about the coureurs des bois, whose risky, adventurous lifestyle sounds romantic to us in the 21st Century. Read more about them here. They are not the same as the voyageurs of a later time, but both groups opened up the Canadian wilderness to Europeans.